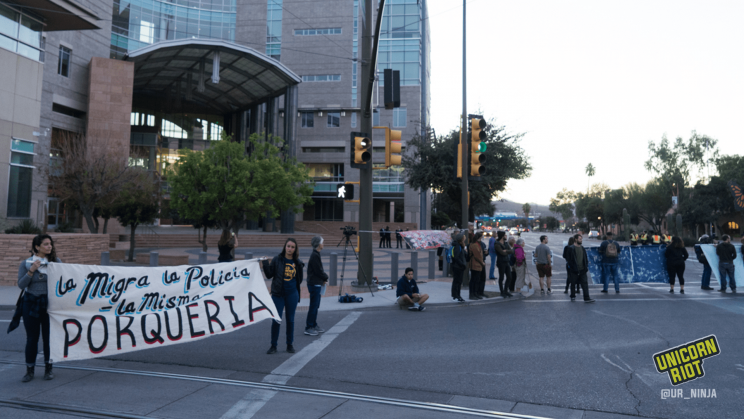 Tucson, AZ – In an Arizona federal courthouse on Wednesday, November 21, Border Patrol Agent Lonnie Swartz was declared not guilty of a lesser charge of involuntary manslaughter in the killing of 16-year-old José Antonio Elena Rodriguez. The jury will return on December 11 to decide on the higher charge of voluntary manslaughter as no decision was reached. Many community organizers argue this sets a precedent that there will be no accountability for border killings by federal agents. This comes at the same time as the White House signed a memo late Tuesday night that allowed troops stationed at the border to engage in some law enforcement roles, including some use of lethal force, despite objections from legal experts that it violates the Posse Comitatus Act. Late at night in October 2012, José Antonio was in his home neighborhood of La Capilla in Nogales, Mexico, when Swartz shot 16 times through the Nogales border fence, striking José Antonio with 10 bullets in the back, back of head, and arm. U.S. Border Patrol (BP), the law enforcement arm of the Customs and Border Patrol (CBP), argue that Swartz was defending himself from rocks being thrown over a cliff and the border wall. 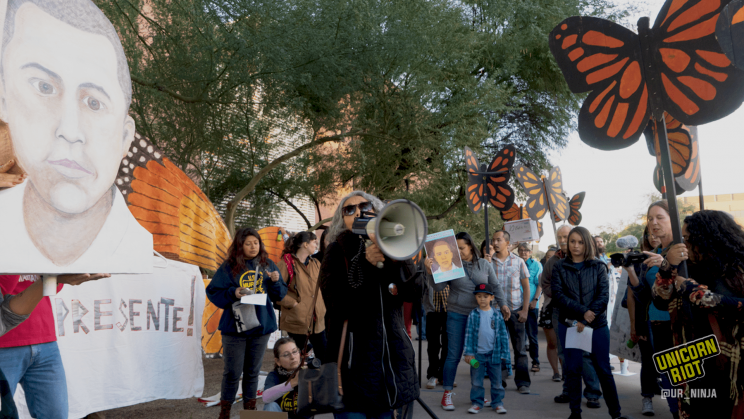 His family’s campaign to bring this case to criminal court makes this case unique as more than 100 people have been killed by the Border Patrol in the past 15 years, and this is only the second to be criminally charged. In a press conference outside the courthouse, one community member was arrested (video) after protesting the decision that was announced. The family of José Antonio Elena Rodriguez says that the struggle for justice and to keep the memory of José Antonio alive is not over. His mother could only laugh at the fact someone was arrested for asking for justice while her son’s killer was free. Swartz’ case is the latest precedent setting decision in Border Patrol’s long history of expanding their constitutional authority as a law enforcement agency into the establishment of a culture of cruelty and impunity to kill. Similar to Swartz, Corbett claimed that he was responding to deadly force and that Mr. Domínguez was armed with a rock. Also similar to the trial that just ended of Swartz, both trials resulted in a hung jury and the prosecutors decided not to retry them. 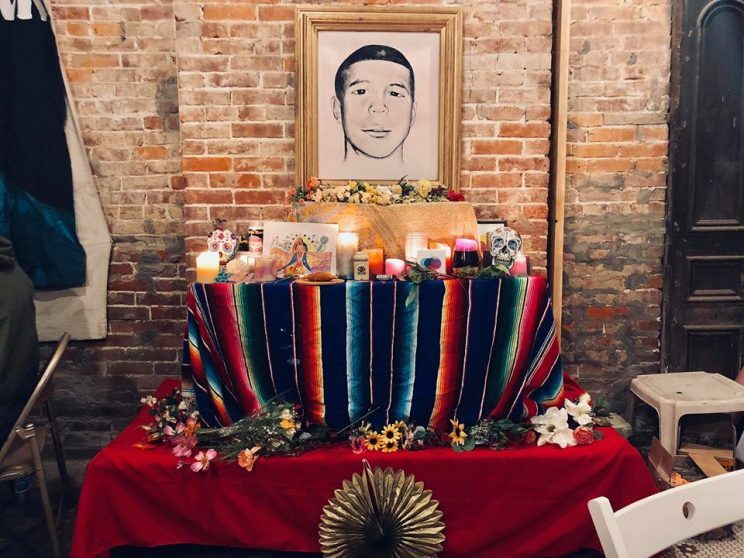 Sergio Hernandez was just 15-years-old in 2010 when he was fatally shot by a U.S. Border Patrol agent Jésus Mesa Jr. while playing with a friend in the dry bed of the Rio Grand River. What was unique about this shooting is that it was captured on cell phone footage. This video evidence was at odds with Mesa’s defense that he was justified in using deadly force because he feared that Hernandez was going to strike him with a rock. In this case however, no criminal charges were brought and his family is still fighting in civil courts for the right to sue. Michael Fisher, head of Border Patrol from 2010 until 2016, publicly rejected this study and is accused by humanitarian aid organizers of expanding a culture where the agency protects agents accused of excessive force. In 2014, Fisher created the Fisher Memo, that mirrored the language of the 2013 report and purportedly attempted to limit use of lethal force. However, many activists say that really what this changed was how excessive force is reported and agents then began to exaggerate their official number of rock throwing incidents which helps them justify that there is a need to use force to stop rock throwing. José Alfredo Yañez Reyes was shot and his body fell lying across the invisible border line between California and Mexico. This shooting resulted led to the Frazier Report in 2016 by Thomas Frazier, a former police chief and expert, who argued about the fundamental problems of the use of deadly force in response to rock throwing. This report was commissioned by the prosecution in an attempt to win a civil suit that is still underway. Frazier concluded that the use of deadly force against Yañez was a highly predictable consequence of Fisher’s failure to clarify use of force policy and correct the culture. An outsider who was brought into the BP from the FBI, Mark Morgan was hired as the new Chief of the Border Patrol because the Obama administration believed that “the past two chiefs’ legacy is that the agency can no longer be trusted to run itself”, according to The Center for Investigative Reporting. The former head of Internal Affairs turned whistleblower, James Tomsheck, said with the election of Donald Trump the union that represents BP agents has willfully engaged in the current political debate to assert their belief that they are a military unit, not a law enforcement agency. What Precedent will be made because of the Failure to Convict Swartz? “Justice was done correctly,” said Art Del Cueto, a representative of the Border Patrol union, throughout the trial. Community organizers in the borderlands say that the union is celebrating this verdict because it sets the legal precedent for what has already been experienced as a culture of cruelty and brutality by BP for decades. Araceli went on to warn that if no charges are successful, it is possible that Swartz may even be reinstated as a Border Patrol agent. Throughout the trial, Swartz claimed his 16 shots through the border fence that hit José Antonio 10 times in the back were justified because a rock allegedly hit Agent Wynecoop. However, Swartz did not include that in his initial report and Wynecoop only mentioned it two years later in the grand jury investigation. This argument of fear is echoed in Defense Secretary Jim Mattis statement on Wednesday, that one possible instance in which troops might use lethal force: defending a border agent who was hit by a rock. Correction: An earlier version of the story had Swartz not guilty of voluntary manslaughter and a hung jury on involuntary manslaughter. Watch our 2017 special ‘Crisis: Borderlands‘, which chronicles the ongoing border crisis and also how humanitarian groups have stepped up to help, only to get hindered by the Border Patrol, who dump water and destroy food supplies left in the desert for migrant travelers.